The PharmCAS application for fall 2019 is now open, and the deadline is May 1, 2019. To process our applications, we use the PharmCAS system. The PharmCAS application for Fall 2019 will open on July 18, and the deadline will be May 1, 2019. The requirements and process for admission are outlined below. Additional requirements apply for dual degree programs. This should be completed by a college math or science professor who has taught you in class. If your school provides recommendations by committee, this is preferred. A pharmacist is preferred, but this may be from anyone who has supervised you in a work setting. Letters from family members will not be accepted. The PCAT exam is not required for admission to Samford’s McWhorter School of Pharmacy, nor is it used in the admission process. An official transcript must be sent to PharmCAS from each school you have attended. Please print and use the PharmCAS transcript request form. At the end of the fall term, go to your online application at pharmcas.org and update your profile with your new fall grades. Once you have updated your online profile, click the e-submit button to send your new fall grades to PharmCAS for verification. You also must request that an updated copy of your official transcript, with fall grades posted, be sent directly to PharmCAS. Please print and use the PharmCAS transcript request form. Supplemental information will be included on the PharmCAS program specific “Questions” area for Samford University McWhorter School of Pharmacy. An unofficial copy of an ACT or SAT score should be uploaded to the “Documents” section of the PharmCAS application for Samford University McWhorter School of Pharmacy. The ACT/SAT requirement is waived for any applicant who holds a prior B.A. or B.S. degree in any major or if the test was taken more than 12 years prior to submission of pharmacy application to PharmCAS. If you have a National Pharmacy Technician Certification (PTCB), you may also upload a copy of your license to the “Documents” section of the PharmCAS application for Samford University McWhorter School of Pharmacy. Individuals reapplying to McWhorter School of Pharmacy must complete a new PharmCAS application. Applicants may replace either or both the academic or nonacademic recommendation but applicants will be required to replace at least one of them. McWhorter School of Pharmacy participates in the Early Decision program through PharmCAS. 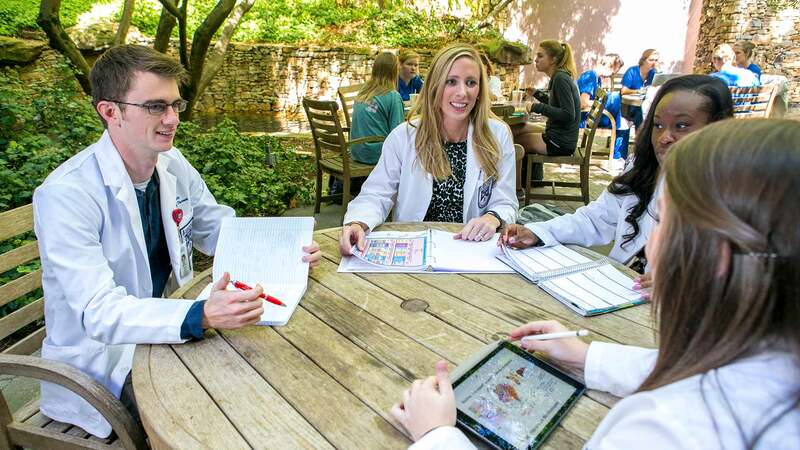 The Early Decision program is a binding option for applicants who have decided that McWhorter School of Pharmacy is their first choice pharmacy school and that they will enroll there if accepted. As an Early Decision applicant, you can apply to only one pharmacy degree program. The Early Decision application deadline is Sept. 4, 2018. In addition to completing the PharmCAS application, you must arrange for PharmCAS to receive all of your official transcripts and fee by September 4. If your application, transcripts, or fee arrive after the deadline, PharmCAS will automatically change your file from early decision status to regular status. You may be offered early admission, denied admission, or deferred to regular applicant status. Applicants admitted to Samford University's McWhorter School of Pharmacy through the early decision process will not be required to submit a deposit to hold a seat in our program. If you are offered admission as an Early Decision applicant, you are obligated to accept the offer and you will not be permitted to apply to other PharmCAS institutions. If, however, you are denied admission as an Early Decision applicant, you may apply to other PharmCAS institutions for an additional fee. PharmCAS institutions will make admission decisions on early decision applicants by Oct. 19, 2018. Completed all course prerequisites (includes Calculus I, Elementary Statistics, Physical Education Activity or Lifetime Health and Wellness/Fitness, Psychology or Sociology, Additional Liberal Arts, Human Anatomy & Physiology, Microbiology, General Chemistry, Organic Chemistry, Public Speaking, English Composition, Literature, and World History/Western Civilization or U.S./American History). Applicants who have earned a bachelor’s degree may use a math/science prerequisite if the date of the pharmacy application is submitted within five years from the posting of the degree (with the exception of Public Speaking, all other pre-requisites are waived if the applicant has completed a B.A./B.S. degree or if a B.A./B.S. degree will be completed prior to starting classes at McWhorter School of Pharmacy). Applicants who have not earned a bachelor’s degree may use a math/science prerequisite if that coursework was completed within five years of the submission of the pharmacy application. For all applicants, there is no time limit on any non-math/science prerequisite coursework. An appeal process is available for math/science prerequisites that fall outside the five-year window of completion. General education prerequisite GPA greater than or equal to 3.0 and McWhorter School of Pharmacy Math/Science prerequisite GPA greater than or equal to 2.75. GPA of most recent 30 credit hours (must include at least 6 credits of math or science) greater than or equal to 3.20. The applicant must have completed or currently be enrolled in Organic Chemistry 1 during the spring semester to be eligible to be interviewed. Once the Pharmacy Admission Committee reviews the applicant's file to determine interview or deny, the Pharmacy Admission Office will notify the applicant of the decision. Applicants receiving an interview invitation will be notified via e-mail with the dates for the upcoming interviews. The e-mail will instruct the applicant to contact the Pharmacy Admission Office to confirm an interview appointment. We are happy to announce that we are participating in the Cooperative Admission Guidelines as established by the American Association of Colleges of Pharmacy (AACP). Once accepted to our program, the total deposit to reserve a seat in our class is $500. As per the AACP Cooperative Admission Guidelines, the first part of this deposit is $200 and is due two weeks after the date on your acceptance letter. The balance of this deposit ($300) is due on or before March 9. For interviews that are held and/or admission offers extended after March 2, a total deposit of $500 will be due two weeks after the date on your acceptance letter. All deposits are non-refundable. In order to comply and proceed with the mission of McWhorter School of Pharmacy, noted earlier in this section, technical standards for admission are a necessity, which ensures the education of pharmacists who facilitate competent patient care and professional services in all facets of health care. Students admitted to McWhorter School of Pharmacy must possess the intellectual, emotional, and physical abilities, with reasonable accommodations as needed for those with disabilities, to acquire the knowledge, behaviors, and skills needed to complete the curriculum. These standards are essential to ensure the competencies of graduates of McWhorter School of Pharmacy. Each applicant to McWhorter School of Pharmacy will be assessed in the academic and technical standards set forth by the admissions committee, notwithstanding reasonable accommodations, prior to matriculation. The doctor of pharmacy (Pharm.D.) degree identifies persons who have completed the curriculum necessary to perform the functions of a pharmacist; thus, graduates must convey and demonstrate abilities to preserve the safety and protection of public interests. Moreover, applicants for the Pharm.D. degree must be able, with or without reasonable accommodations, to perform specific essential functions that the faculty deem requisite for the practice of pharmacy. These functions fall into several categories including: communication, physical abilities, conceptual, interpretative, quantitative, behavioral, and social skills. Applicants must also have the physical and emotional stamina to perform in a competent manner in practice settings that involve heavy workloads and/or stressful stimuli. Furthermore, McWhorter School of Pharmacy has determined that those individuals currently impaired by alcohol or substance abuse cannot meet the technical standards. Candidates must be able to speak, hear, and observe patients in a practice setting. They must be able to record information accurately and clearly, speak fluent English, and communicate effectively and sensitively with patients. Candidates must also be able to communicate effectively-and accurately-with other members of the healthcare team in oral and written form, and in patient care settings in which decisions based upon those communications must be made rapidly. Students must also be able to both receive and deliver all necessary communication in an accurate, timely, and easily understood manner. 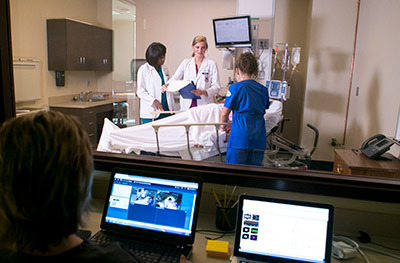 Candidates must possess sufficient visual, auditory, tactile and motor abilities to allow them to gather data from written reference material, from oral presentations, by observing demonstrations and experiments, by studying various types of medical illustrations, by observing a patient and his/her environment, by observing clinical procedures performed by others, by reading digital or analog representations of physiologic phenomena, and by performing basic physical examination techniques on a patient. Candidates must have sufficient physical function to elicit information from patients by palpation, auscultation, percussion and other diagnostic maneuvers necessary to assess a patient. Candidates must have the physical ability and manual dexterity to compound sterile and non-sterile products in an environment and manner compliant with existing regulations. Candidates must have effective and efficient learning techniques and habits that allow mastery of the complex curriculum. They must be able to learn through a variety of modalities including, but not limited to, classroom instruction, small group activities, individual study, preparation and presentation of reports, and use of computer technology. They must be able to memorize, measure, calculate, reason, analyze, synthesize, transcribe verbal messages accurately, and interpret written prescriptions accurately. Candidates must possess physical, emotional, and interpretative skills to complete examination and assessment requirements of the program in compliance with the curricular schedule. Candidates must possess like skills to be able to fully assess a patient with regard to physical status, patient communication, and behavior plus patient outward presentation which might be indicative of the patient’s status. Candidates must be able to read, comprehend and respond to serial information related to a medical situation or patient. Candidates must understand the legal and ethical aspects of the practice of pharmacy and function within the guidelines established by the law and by the ethical standards of the pharmacy profession. They must be able to relate to patients and their families, colleagues, and other members of the healthcare team with courtesy, maturity, and respect for the dignity of individuals. This requires that they place the welfare of their patients foremost, and demonstrate honesty, integrity, dedication, compassion and nondiscrimination in the care of their patients. Candidates must, at all times, demonstrate the emotional stability to be able to exercise good judgment, and carry out prompt completion of all responsibilities attendant to the care of their patients in a sensitive and effective manner. This sensitivity includes self-examination of personal attitudes, perceptions, and stereotypes in order to avoid potential negative impact on relationships and patient care. Applicants must be of sufficient emotional health to adapt to changing environments, display flexibility and professional responsibility to their patients, and learn to function in an environment of uncertainty, in which changes may occur rapidly and without warning. Candidates must have sufficient emotional health to perform to standard in all experiential settings and in all acceptable teaching practices. An individual with a diagnosed disability may function as a pharmacy student as long as the above technical standards are fulfilled. The study and ongoing practice of pharmacy may involve taxing workloads and stressful situations. A pharmacy student must have the physical and emotional stamina to maintain a high level of function in the face of such working conditions. In the event of a deteriorating behavioral, social or emotional function, it is essential that a pharmacy student be willing to engage in dialogue with McWhorter School of Pharmacy officials as soon as there is evidence that the student is not meeting the technical standards. A pharmacy student whose actions or decisions pose a danger to self, patients and/or colleagues will not be allowed to continue in the program unless the student agrees to accept professional help under conditions acceptable to McWhorter School of Pharmacy. Applicants are advised to contact the board of pharmacy of the states in which they intend to practice to be aware of any technical standards of those states which might restrict options to practice pharmacy.